It’s an article of faith among conservatives that illegal immigrants ought to be deported — and that those who commit crimes here in the U.S. cannot be deported fast enough. Rasmussen reports that 92 percent of likely Republican voters think felonious illegal immigrants should get the boot. A broad majority of the general public agrees. But there are some glaring exceptions. 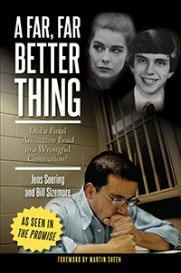 Convicted murderer Jens Soering, a U.Va. graduate, is renewing his effort to be returned to Germany, his national home. He was nearly repatriated a few years ago, when Gov. Tim Kaine approved the request in the closing days of his administration. Kaine’s decision provoked fury on the right. Soering “committed his crimes against the citizens of the commonwealth of Virginia, and he should serve his time in the penitentiaries of the Commonwealth and subject to our parole system,” said Ken Cuccinelli, who would shortly become Virginia’s Attorney General. Republican lawmakers protested in a signed letter. When Bob McDonnell succeeded Kaine, he revoked the repatriation order. “It is imperative that Soering serve out his punishment in the Commonwealth of Virginia,” McDonnell said. Just a few months later, both McDonnell and Cuccinelli were praising the deportation of criminal illegal immigrants through the federal Secure Communities program. The objection to repatriating Soering rests on Germany’s criminal justice system, which emphasizes rehabilitation over incarceration. 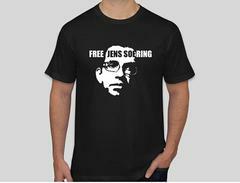 Repatriating Soering would get him out of prison far sooner than keeping him in the U.S. will. But then other deported felons also might enjoy shorter prison terms as well. And then there’s the enemy-combatant detention facility at Guantanamo. The Obama administration would like to close the facility and transfer its inmates to federal supermax prisons stateside, where many other convicted terrorists now rot. Yet conservatives howl in protest at the very idea — insisting it would be too dangerous. Well. Shoe bomber Richard Reid, Boston Marathon bomber Dzhokhar Tsarnaev, Unabomber Ted Kaczynski, and 9/11 plotter Zacarias Moussaoui are all serving time at the ADX supermax prison in Colorado, just 94 miles from Denver. Soering is doing his time at Buckingham Correctional Center, just 61 miles from Richmond. Yet residents of both cities sleep soundly. Nobody seems to be demanding that Tsarnaev be sent back to Kyrgyzstan or that Moussaoui, who initially had been arrested on an immigration violation, be sent back to France. This is, in a word, incoherent. The U.S. should have a consistent policy for how it treats immigrants who commit serious crimes. We see nothing wrong with locking them up here — or with shipping them off to their home countries, for that matter. Either would be an appropriate response — and either would be far better than the emotional, knee-jerk reactions that govern the debate at present.